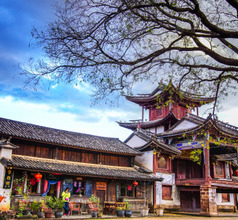 Shaxi City, better known as Shaxi Ancient Town lies halfway between the cities of Dali and Lijiang in the Yunnan Province of China. 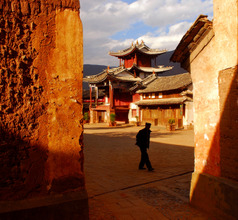 In the ancient times, Shaxi was located on the South Silk Road (also called the Tea and Horse Caravan Route). 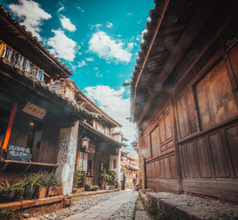 The town was a business and trading hub because it was the main connection between China, Tibet, Thailand, Myanmar, and Laos. 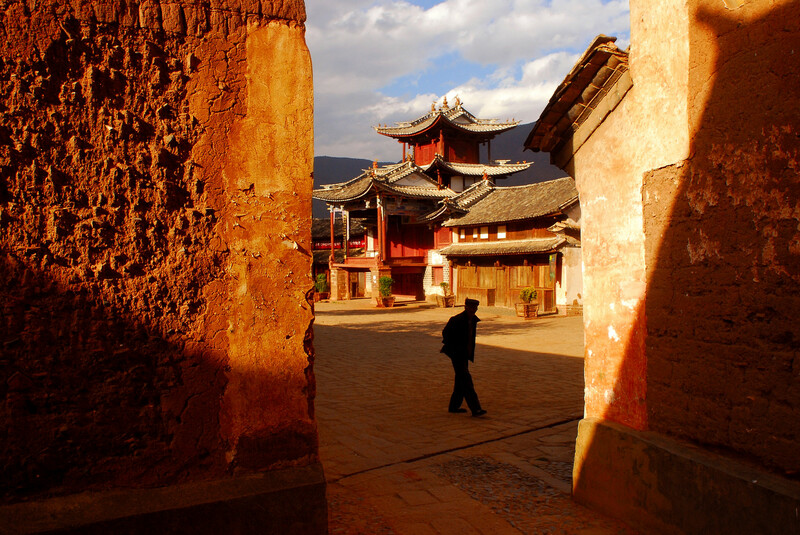 Time appears to have stood still in Shaxi Town because it looks just like it did in ancient times. 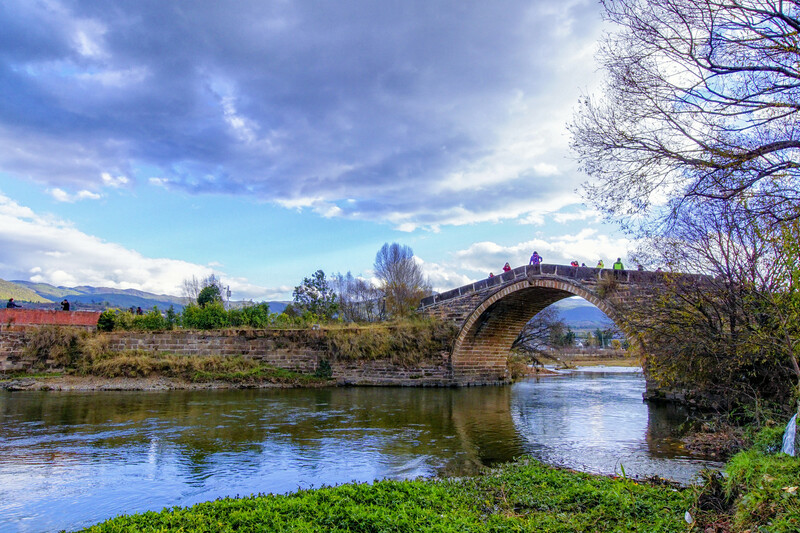 With the development of the new expressway between Lijiang and Dali, Shaxi Ancient Town has gained a lot of popularity as a tourist destination in recent years. 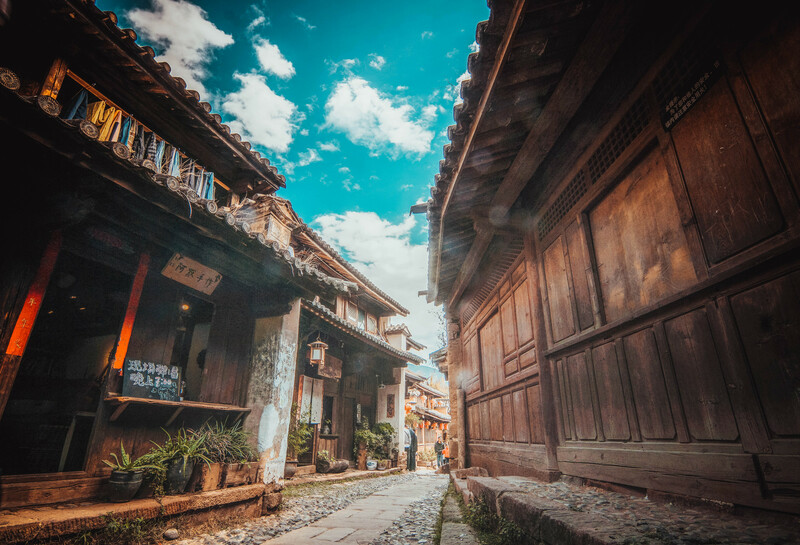 If one wants to see a mix of ancient Buddhist culture and Chinese business culture in the same place, Shaxi Ancient Town is the best place to visit. 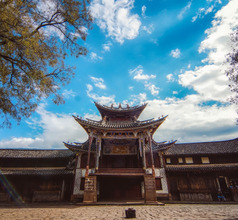 The place is full of old relics, each one of them a beautiful tourist attraction. There are ancient temples, shops, alleyways, houses, village gates, ancient trees, wells, and more. The whole town looks like a medieval painting and its charm lies in its antiquity. 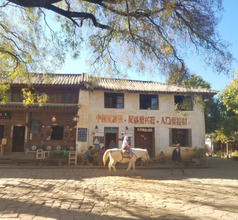 In ancient times, the town would come alive with the weekly bazaar. Traders and merchants who came along the Silk Road would sell their commodities while people from all the surrounding areas would buy their necessities during the weekly market. This ancient tradition has continued even today. The Bai ethnic people from Shaxi Valley and the Yi ethnic minority people from the surrounding hill slopes visit the Sideng Friday Market as per tradition. The locals wear colorful traditional costumes and bring mules with them to carry their purchases just like in the old days. This is a very unusual sight for tourists, who visit the market to click pictures and buy souvenirs. The wood carvings are truly exquisite! 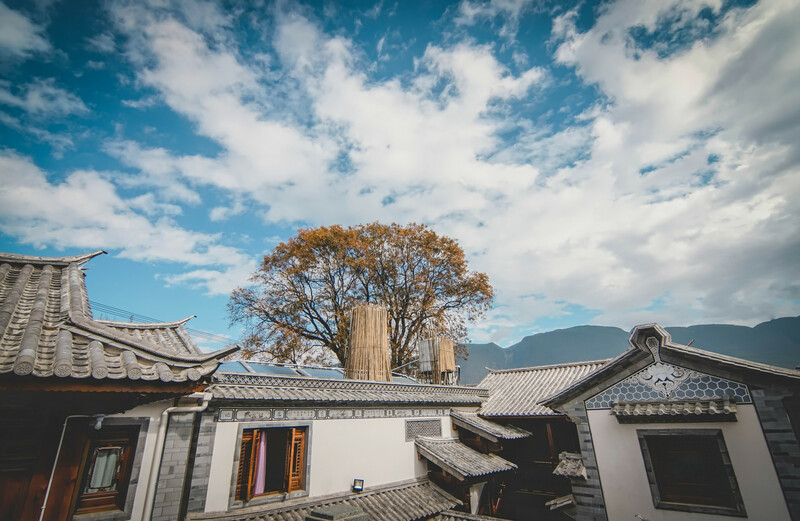 Although Shaxi has the word “ancient” in its name, the town offers the best accommodation depending on one’s preference and budget. There are luxurious boutique hotels, mid-range hotels, International youth hostels, homestays, theme-based inns, and more to choose from. The upscale hotels have in-house restaurants where International-style gourmet meals are served to suit tourists who come from different parts of the world. They also offer various amenities like custom sightseeing tours, 24x7 housekeeping, swimming pools, concierge services, in-room dining, and spacious rooms with magnificent views. The lower-priced hotels have only basic amenities but are clean and comfortable. 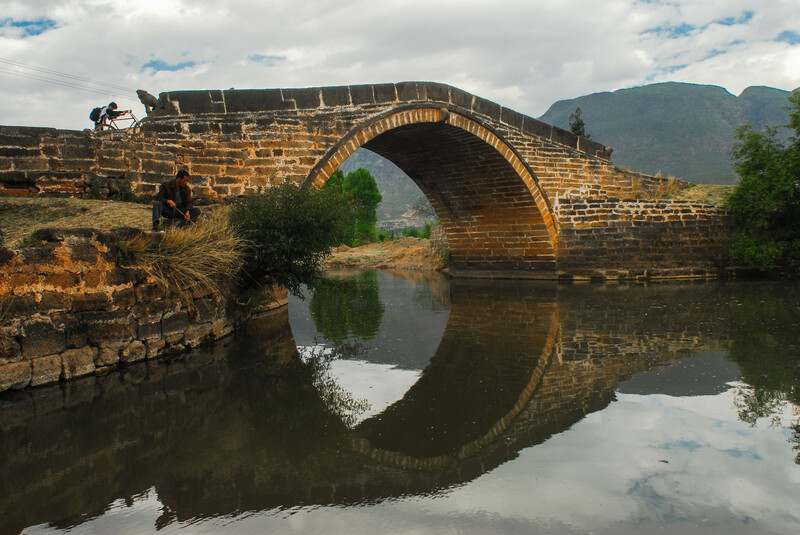 The combination of fascinating scenery and ancient Buddhist cultural relics makes the region around Shaxi Ancient Town a popular tourist destination. The most significant attraction is the Shibao Shan (Stone Treasure Mountain) Scenic Area. 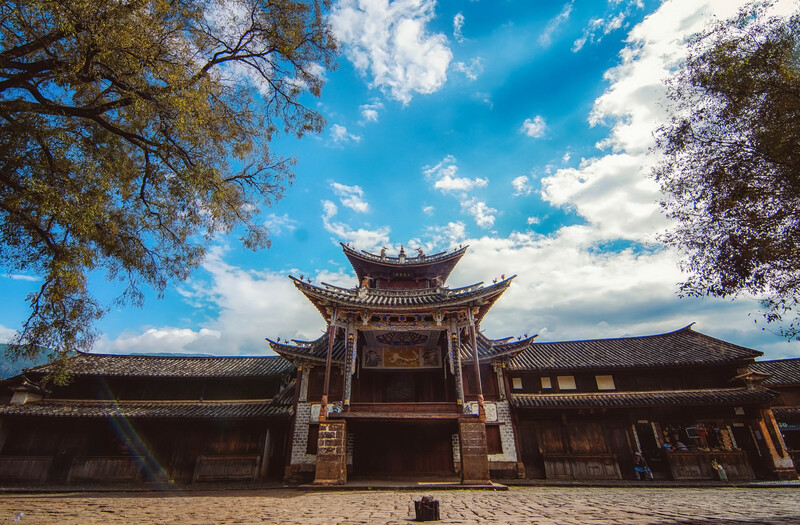 It not only has magnificent views but also has beautiful ancient temples like the Baoxiang Temple and the Shizhong Temple (Stone Bell Temple). The latter is famous for its artistic stone carvings. Another attraction that is a must-see is the Pear Orchard Temple which is also called the Sheltered Mercy Nunnery. 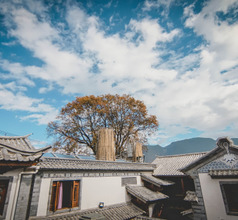 This is a unique place which has four shrines dedicated to Buddhist, Daoist (Taoist), and Chinese folk religious beliefs and practices. It is a superb vantage point to photograph the spectacular scenery of forests and ancient relics dotted across the valleys and hill slopes. The temple also has an organic-food restaurant and a yoga and meditation center. 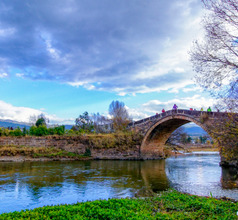 Other places just perfect for photography are the Bailong Tan (White Dragon Pool and the Heilong Tan (Black Dragon Pool) which are not far from the Sideng Market. 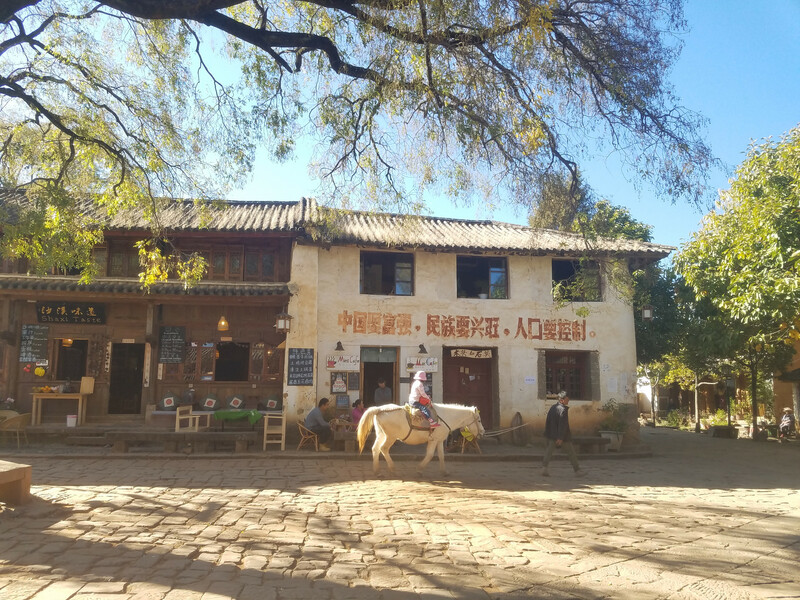 There are several other equally beautiful tourist attractions near the ancient town of Shaxi, the popular ones being Mapingguan Village and Dianxi Salt Wells. Tourists can go sightseeing in the area either by hiking, cycling (available on hire), or horseback riding. 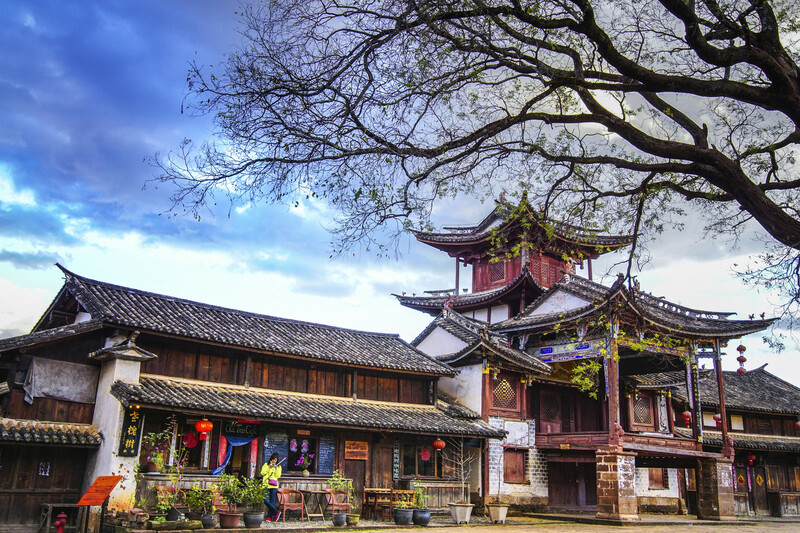 The best time to visit Shaxi Ancient Town is during the Torch Festival or the Tiazihui Holiday when there are many enjoyable activities that visitors can either watch or take part in. Yunnan Province is well-known for its Bai-style cheeses along with Mongol-style dishes, and a few Tibetan and Indian dishes. So the usual Yunnan specialties like Xuanwei Ham, Luliang dried salted duck, Bai-style noodles, banana flower delicacies, Erkuai rice cakes, pickled chives flower, etc. 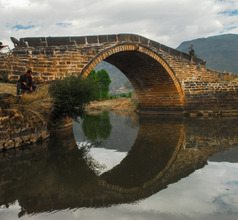 are very popular in Shaxi Ancient Town. But the dishes that are specific to Shaxi are the Buddha Hand pizza, home-style dumplings (10 varieties), Baba (sweet or savory bread), organic vegetable dishes, etc.